I’m feeling a bit confused as I sit to write this post. I’m not sure if I should applaud my husband’s creative thinking or have him committed. After a walk through some woods near our house, one of our dogs came home with a tick. My husband’s reaction was disbelief at first, followed by disgust, including some impressively over dramatic gagging, and then he closed out his performance with an insistence that we add an opossum to our collection of pets. Apparently he read somewhere that they eat hundreds of ticks a day. Seeing as how we only had the one tick to feed to our imaginary pet opossum, I managed to talk him out of that one, thankfully. Removing ticks from your dog is definitely one of the less glamorous aspects of pet ownership, that’s for sure. But it is sometimes a necessary evil. There is no need to be a baby about it like my husband. There are several easy ways to get a tick off of a dog. Dogs and humans can pick up ticks (aka Ixodes scapularis) from just about any location. It could be walking in parks, hiking, or even just while out in your own backyard. Ticks are harmful to both humans and dogs because they leach themselves onto flesh. From there, they are able to pass on diseases. If you should happen to find one of these parasites in your dog’s fur, keep your dog (and yourself) calm and in a relaxed state. Offering the dog a treat so that they are not paying attention to what is happening is one way to help with that. Offering yourself a stiff drink might help as well. You will need a few supplies such as disposable gloves, antiseptic cream, and isopropyl alcohol in order to do a thorough removal of the tick. It is important to wear the gloves to protect against the spreading of any infections and to keep the disgusting blood and guts off of your hands. Tweezers with the pointy tips work better than blunt tweezers. Place the tips of the tweezers as close to the dog’s skin as possible and close the tweezers around the tick’s mouth. Be careful not to accidentally pull the body of the tick off and leave the mouth attached. This can increase the dog’s chance of ending up with an infection. Being careful not to pinch the dog’s skin, squeeze the tips of the tweezers together tightly, and pull straight up to remove the tick. Removing a tick with a tick key remover is actually pretty similar to removing a tick with tweezers. The main difference between the two methods is the placement of the tick remover. Start out by placing the circular opening over the tick and running the key along the dog’s skin, keeping the tool flat. Next, simply slide the key to the smaller opening underneath the tick, removing the tick from your dog’s fur. If you don’t happen to have any tweezers laying around, grab some dental floss. Floss can be used to remove ticks from your dog. Either very thin floss or string with no wax works best. Carefully placing the string at the base of the tick’s head where it meets the dog’s skin, wrap the head with the string and pull as tightly as possible. Pull the string straight up using both hands. Careful not to fling the tick onto yourself because that’s gross and wholly unsanitary. Place the tick in an air tight plastic container with the isopropyl alcohol and leave it there for 24 hours to allow the tick to die. Label the container with the date that it was removed. Place the antiseptic cream on the dog’s skin where the tick was removed from. Wash your hands thoroughly after clean up of the removal area is finished. Watch the area in which the parasite was removed from for any signs of an infection that may occur. Have the dog checked by a your vet if there is any suspicion of a health problem. You can also have the tick brought in and analyzed if an infection is suspected. It is best not to remove the tick off of the dog using your bare hands to decrease the risk for you and your dog. The blood and saliva from a tick can carry pathogens that can spread. If you do use your fingers, try to use gloves, napkins, or wipes to protect your hands. Wash your hands immediately after removing the tick from your dog. It is not recommended to squeeze or press the tick once it is removed. This can cause the infections that the parasite may have to come in contact with you or on your dog’s skin. While it is still attached to the dog’s skin it is best not to put anything on the tick such as Vaseline, alcohol, or a lit match in order to try and kill the tick. This may increase the risk of the dog receiving an infection from the tick due to it excreting body waste into the wound before being removed. Yeah, you read that right. The tick could vomit or poop into the bite on your dog’s skin. Gross. Putting the tick into the sink or the trash can is not suggested due to the possibility of the parasite (which has been around since the dinosaurs!) doing like the guy in the end of Scream and popping back up from the dead. Walking dogs in the woods is great exercise for both you and them, but always check your pet for ticks after your adventure. Your best bet is to keep ticks off of your dog in the first place by never, ever allowing your pup to go outdoors. Easy, right? You should be fine if you check your dog regularly for ticks by using a comb. Be sure not to miss secluded spaces and folds such as armpits, ears, or between their toes. 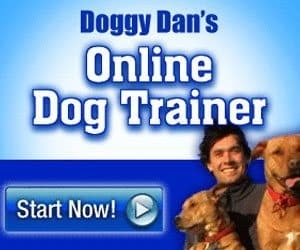 This is recommended particularly if the dog spends a great deal of time outside. Even if your dog is on preventative measures, a tick can still find its way to attach itself onto your dog. The sooner it is found and removed from the dog, the better the dog’s chances of not being infected with a disease from the tick. Putting your dog on a tick preventative medication from a veterinarian is a good start to arming your dog against them. When choosing a preventative you want to think about your household and pet. Talk to your veterinarian about your dog’s size, age, and history when deciding on the best form of prevention. Some medications may not be appropriate for young, elderly, or dogs that have had a history of seizures. Also, certain medications may not be safe if there are children or other pets in the home. Topical medication is applied directly on the dog’s skin, usually between the shoulder blades. Pros – Effective. Kills ticks. Cons – During the application time, you will want to isolate the dog away from other animals and children that may come into contact with the application area. It can be messy and a bit dangerous until it is dry. Usually a once a month pill that is given to the dog and is secreted through the dog’s skin to protect against fleas and ticks. Cons – Some medications cannot be taken if a dog has had a seizure. Most pills are given monthly so if the dog does have a side effect the medication stays in the dog’s system for weeks. These are usually flea and tick prevention that stays on the dog’s neck. Cons – It may not be suitable for a household with children that will be able to have access to the collars. May only protect the neck or upper body and not the back of the body. Skin irritation can occur if the dog has allergies to the ingredients. Making changes to your landscape can help reduce the risks of a dog picking up ticks while outside. One thing that will help is to keep your grass cut below ankle length. Ticks can also be deterred by some plants such as garlic, rosemary, mint, rue, chrysanthemums, and pennyroyal. Some of these plants are deterrents to pests like fleas and mosquitoes as well. Making sure that your trash is put away and tightly latched and there is no extra places for other animals to hide is another way that you can help ensure that there are not any wild animals carrying ticks hanging around. You can also use a tick repellent outside in the yard. Just be sure to read up on whatever product you are using and the possible effects it could have on animals, children, and the environment when used. Check your dog’s bedding, crate, and favorite lounging spots regularly to ensure that ticks are not hiding. Regular cleaning of dog bedding can help eliminate the possibility of ticks hiding out in the folds of the fabric. You may try natural remedies such as garlic and apple cider vinegar to help your dog get rid of ticks. 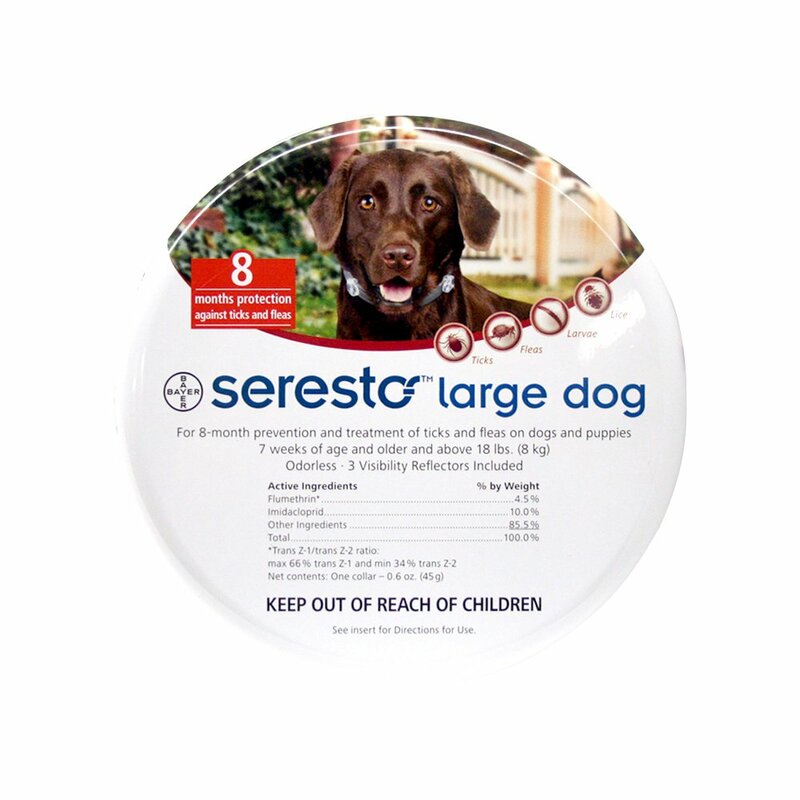 Servings are based on dog’s size so check with your veterinarian about serving suggestions. Essential oils can also be used as an effective repellent against ticks and other pests like mosquitoes and fleas. Or you could adopt a pet opossum.